Set in Ancient Egypt and using symbols and imagery entirely from this era, King of Kings slot is a game that players will either love or they won’t. It is reminiscent of other Egyptian themed slots while at the same time not having a whole lot new to offer. If this is your area of interest you will find something worthwhile here to keep you going. If it’s not though, well, there probably isn’t quite enough here to win you over. What it does have going for it is a good number of high paying opportunities. This includes symbol combinations during the main game, as well as a number of good bonus features. Relax Gaming have lived up to their name with this slot as the gameplay is simple and built around an uncomplicated 5 pay line system. The 5 pay lines are played out on a 3 row by 5 reels set up. One nice touch is that when the game commences the grid zooms in to take over the full screen. 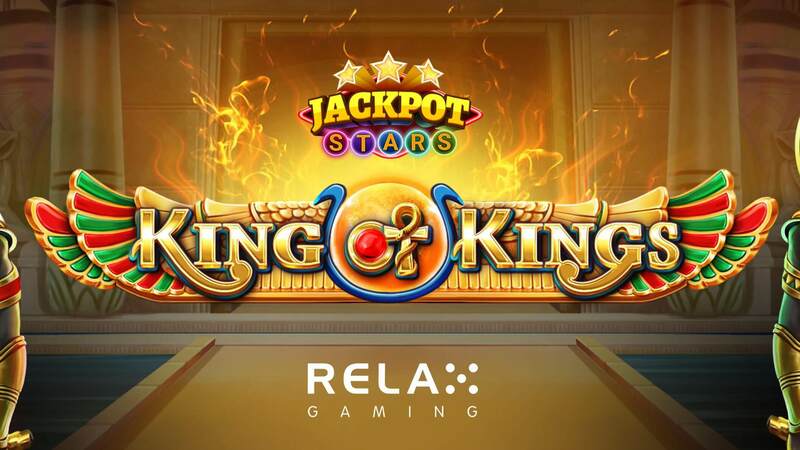 The King of Kings slot RTP has been rated at 96.25% which is fair but, this is a high variance slot so don’t expect wins to occur too frequently. Having said that though, we have to admit that the second and third sessions we had with this game were surprisingly fruitful. The luck of the Pharaoh was obviously missing the first time around which was a little off-putting. It might pay to give the slot a whirl in free play mode first to see whether its variance setting suits your style. Relax Gaming have bolted this mini-game on to provide an extra dose of fun and profit. To opt into this feature players click on the Jackpot Stars icon on the bottom left-hand side of the screen. They can then choose the amount they would like to wager from 0.10 up to 2 coins with a return of 12,500x whatever the stake is. The King of Kings slot game is triggered by the lighting of three stars from a draw and gets played out over six reels. Red balls bounce along the reels when they stop spinning and lock into place for the duration of the game. These red balls continue to enter the game while there are respins and when it is over the jackpot will be calculated. It’s an odd extra that doesn’t match the theme but it adds an additional gambling opportunity that helps spice up the session. Relax Gaming have forgone the more common slot icons and built all new symbols to drive the game. At the lower end of the spectrum are the jewelled beetles which start at 1x the stake for 3 of a kind, up to 100x the stake for six of the shiny red-winged ones. They have been well rendered are pretty to look at. Not only that, they do invoke the theme well. 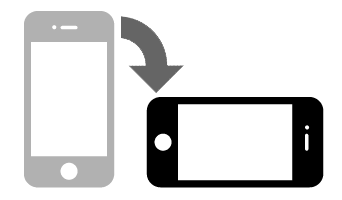 The higher paying icons do an even better job of representing this ancient culture. The first is Bastet, the cat goddess which is worth 200x the stake for 6 of a kind. Anubis, the jackal-headed god is worth 300x the stake for 6, while 6 of Horus will pay out 600x the stake. Six of the pharaoh symbols are worth 1000x the stake, while the big daddy of them all is the Wild symbol which is worth 2000x the stake. As well as paying out, the Wild symbol can substitute for any other symbol and is the scatter. Three or more of these precious jewel encrusted icons will unlock the sixth reel and trigger 10 free spins to go along with it. During the free spins, any symbol but the wild can become the Bonus symbol. When a certain number of these designated Bonus symbols land as part of a win, they cover the whole reel and move to the left to boost pay lines. It sounds slightly complicated but is actually pretty simple and will make sense once you have seen it. The bonus rounds are surprisingly exciting, not to mention pleasantly profitable. If only two Wilds land, then it is possible that the game will still reward you with a Bonus Symbol Respin. During this feature, any symbol can be the Bonus symbol except the Wild. The action can quickly build up as a number of free spins retrigger again and again. It’s quick, it’s fun, and is easy to get caught up in. What makes King of Kings Slot special? King of Kings slot does just enough to make it stand out from the crowd. If Ancient Egypt themed slots are not your thing it is probably not an unmissable experience though. The theme has been done better before, think Book of Ra, but it still manages to conjure up enough thrills and spills to make you come back for more. What causes this is in large part due to its generous paying symbols, and its excellent bonus features. If you are lucky enough to kick some of these off then the wins can be extremely satisfying. If not, ah well, stick to your bankroll and you’ll be fine. First impressions aren’t great, it comes across as a bit bland, a bit slow to start with, but it does grow on you. The graphics and sound are good without being outstanding but convey the mood of theme admirably. The Jackpot Stars element is also a nice touch and offers an extra chance to walk away with a fantastic pharaoh’s haul of 12,500x the wager. It might take a bit of patience for this bonus section to rear its head but it can definitely be worth the wait. At the end of the day, Egypt fans will love King of Kings Slot and have a blast through the desert, while others will be harder to win over. The slot offers a solid gaming experience but lacks originality or much x-factor to make it an unmissable one.